WordPress is an awesome tool to share your photos with the world. It has great plugins and the best WordPress photography themes to showcase your images. EXIF (Exchangeable image file format) tags are metadata information saved with captured photographs and audio by modern digital devices. EXIF tags contain information such as device manufacturer, resolution, date and time, geo coordinates, focal length, etc. This information is really helpful and a lot of photographers want to show EXIF data with their photographs. In this post we will show you how to add EXIF photo tags in WordPress. Select the exif tags you want to display with your photos. 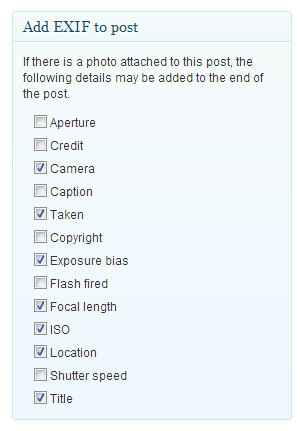 If you publish photos regularly, then you can check “Automatically display exif”. This option will display exif tags for first photo in all your posts. 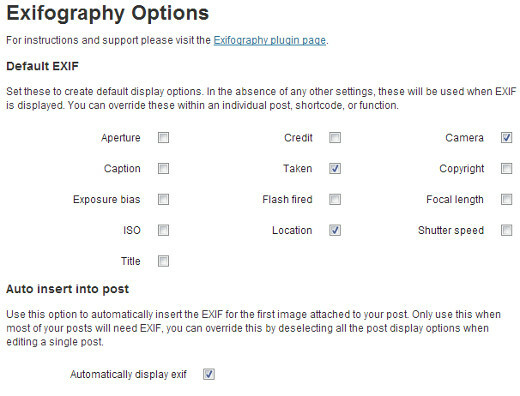 Now if you have chosen to automatically display EXIF tags in Exifography options page, then you don’t need to enter the shortcode. But if you did not choose that, or if this is your second photo in the same post, then you will need to paste the EXIF shortcode below the photograph. You can also choose which EXIF tags you want to display from a post edit page. It is important to understand that EXIF tags come from your camera. If you downloaded an image online, it may or may not have the proper EXIF tags. By default, the plugin displays EXIF tags in a bulleted list. However, you can change this from Exifography options page. Apart from shortcodes, Exifography can also display EXIF data in your WordPress themes with template tags. To add EXIF data in your theme files, add this code inside WordPress loop. 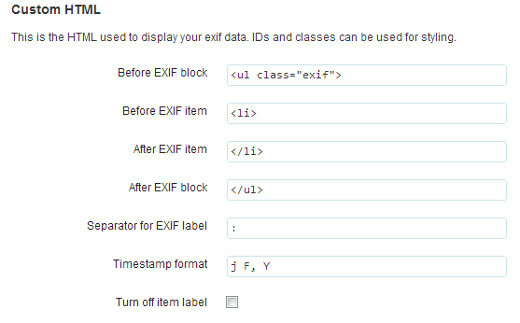 More detailed instructions about using template tags are available on Exifography plugin homepage. 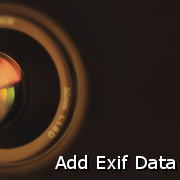 We hope that this article will help you add EXIF data to your photos. If you have a story about creating a photography website with WordPress and adding EXIF data to your photos, then please share it with WPBeginner readers by leaving a comment below.